Done in XSI with MI Shaders, Beer is a mix of Fast SSS and Transparent Shader. No GI and FG, only rig of 9 Lights Caustics. 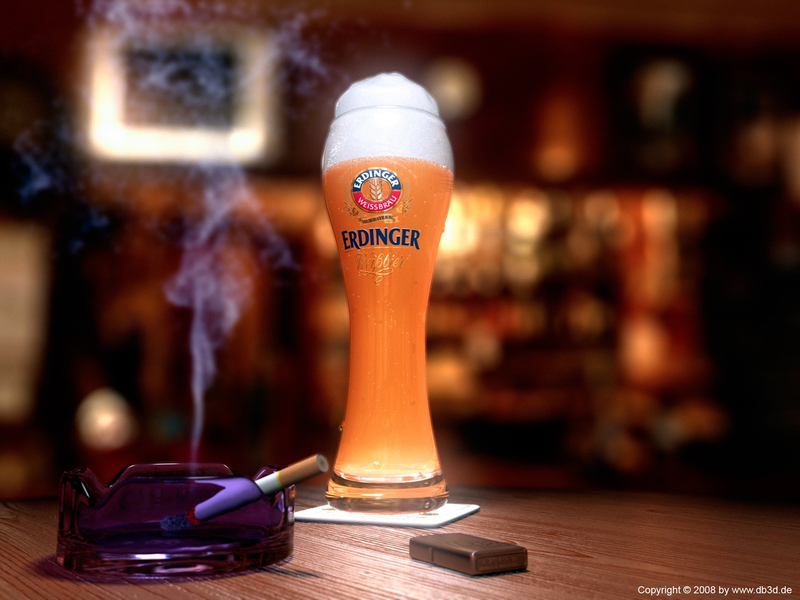 Smoke, DOF and little Bubbles in Beer done in Fusion5 with SpeedSix. Water Drops = RealFlow. For the Foam = Fast SSS to Bump Shader. The Logo is Build in PS with Help of some Photo References.